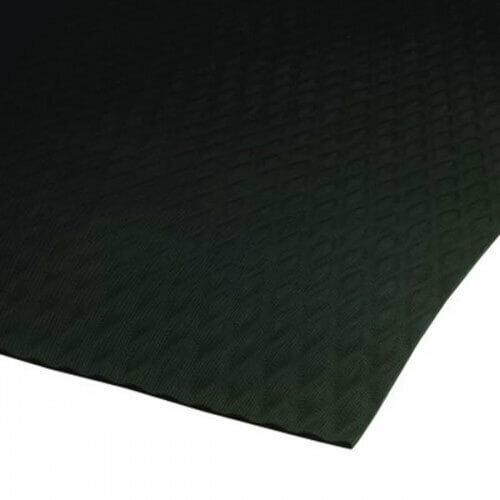 Traction Tread Soft is ideal for numerous production locations, walkways, gym floor protection, parts counters, lab areas and food service applications. Available in 1/4" thickness. 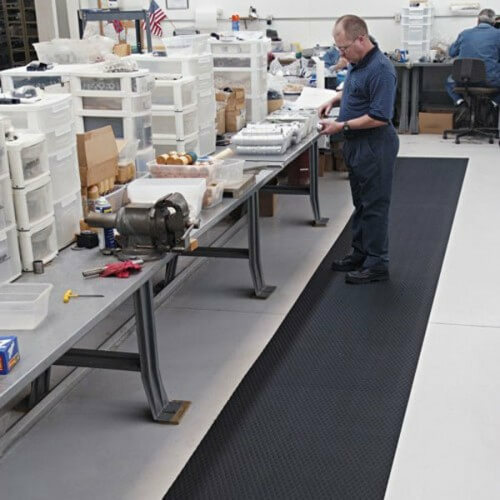 Slip-resistant runners are premium anti-static 100% Nitrile closed cell rubber cushion mats and runners are chemical resistant and offer anti-fatigue comfort and floor protection. 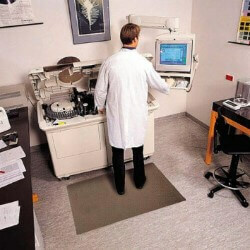 Traction Tread Soft runners are UV protected, anti-microbial treated and designed for various applications including laboratories, locker rooms, parts departments and other commercial and industrial applications. Welding safe Nitrile rubber. Production time: 3 to 5 business days. Custom Sizes and Runners Available - Up to 40' in length in 33", 44" and 58" widths. For pricing and ordering information email or call us. 1. 100% Closed-cell, UV stable Nitrile Rubber cushion. 2. Certified slip-resistant by the National Floor Safety Institute. 3. 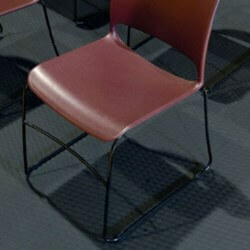 Oil and chemical resistant. 4. 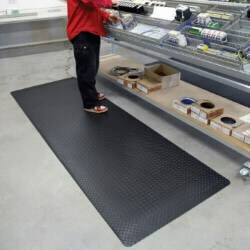 Offers anti-fatigue comfort and floor protection. 7. OK in computer rooms and around static sensitive equipment. Rubber Type: Nitrile Rubber High Density Closed Cell (10% recycled content).